Your doctors play a big part in diagnosing and caring for patients at your facility. 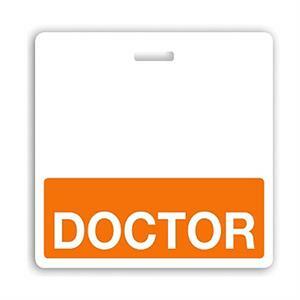 Make it easier for your patients to know the person providing care is a doctor using these "DOCTOR" Badge Buddies! 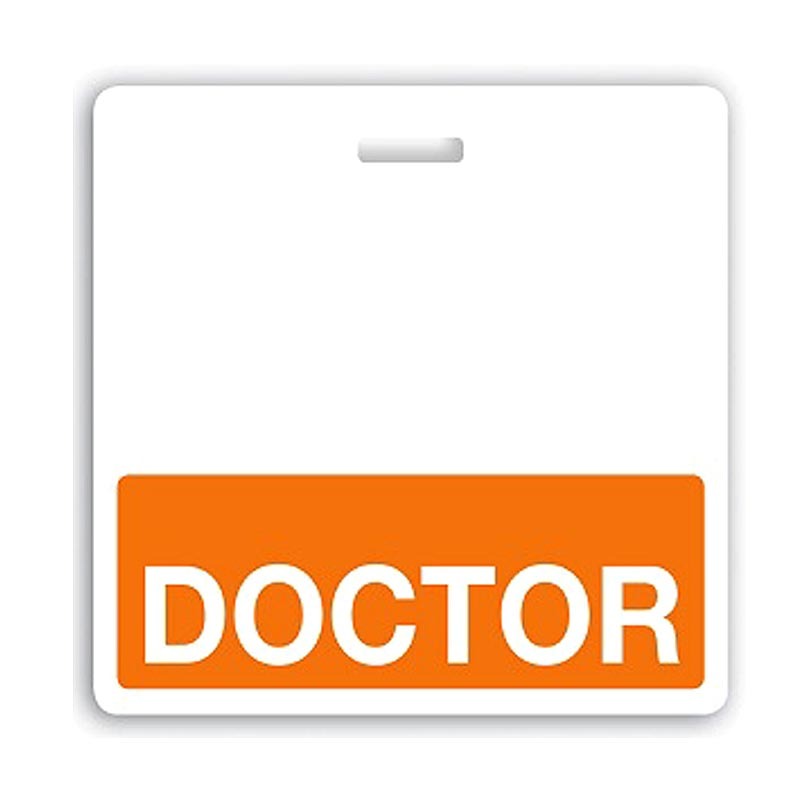 Made of Synthetic Paper and laminated for added durability, these Badge Buddies feature an orange color bar and printed "DOCTOR" text to show that the wearer is a doctor. Using role-recognition cards at your facility helps ease patient concerns over their care provider and helps eliminate confusion when care is being given. In some states, Badge Buddies satisfy state healthcare ID badge laws (including Pennsylvania and Texas). Badge Buddies are a great way to add role recognition to an ID card program without having to re-badge all of your employees.